The world doesn’t necessarily need students who know ‘lots of stuff’, but rather learners who truly know themselves, what they are (and are not) good at, superior communicators, thinkers, and critical and creative thinking contributors to groups, communities, and the world. In other words, the world needs more possessors of essential communication, thinking, personal, and social competencies. The most successful people among us have not only been able to learn, they’ve maintained the mindset that has allowed them to “unlearn” many of things we once thought to be true. Heck, when I look at myself, I am constantly made aware of all the things I don’t know or need to get better at. It’s at these times, when I think about my own learning, that I think about all times I have leaned on my competencies – the very competencies that are expressed and emphasized in our new curriculum – in order to KNOW, DO, and UNDERSTAND new things. Can you see in the following examples how the core competencies found expression? If you take a moment to reflect on your own life, you’ll quickly start to see how the core competencies find expression in what you do! I have chosen to reflect on an activity I do to help myself stay healthy and to reduce stress. It’s an activity that helps me feel better about myself by accomplishing goals, and gives me time to think about creative ways to solve problems in my work and life. I started running about 5 years ago when, because of my work and simply getting older, I wasn’t in the type of good physical condition I once was. I started running slowly, running 2, 3, then 4 kilometers at a time. Then one day, I dropped my son off for his soccer game and decided to go on a run before the game started. After some time, I realized I had run 7 kilometres already and my mind turned to a thought … you are only 3 kilometres from 10! This was exciting because I had never run that far before – ever. But on this day, I did!!! Fast forward to this year, I set a goal to run 1000 kilometres in one year. After a couple of months, I realized I was running 100 kilometres per month and that if I continued on this pace, I would make it to 1200 kilometres in one year. I used an app on my iPhone to help me stay on track. Then came December…and SNOW, SNOW, and more SNOW. Days passed and it was getting harder and harder to complete my runs. There was ice and snow on sidewalks and it seemed that each day, nature was handing me an excuse to not run. But, I persevered, even when I felt like quitting. Even on snowy days, I would hit the trails and I would keep going. With 2 days left in the year, on December 30, I was left with some basic math: 2 days, 25 kilometres and a SNOWSTORM ON THE WAY! 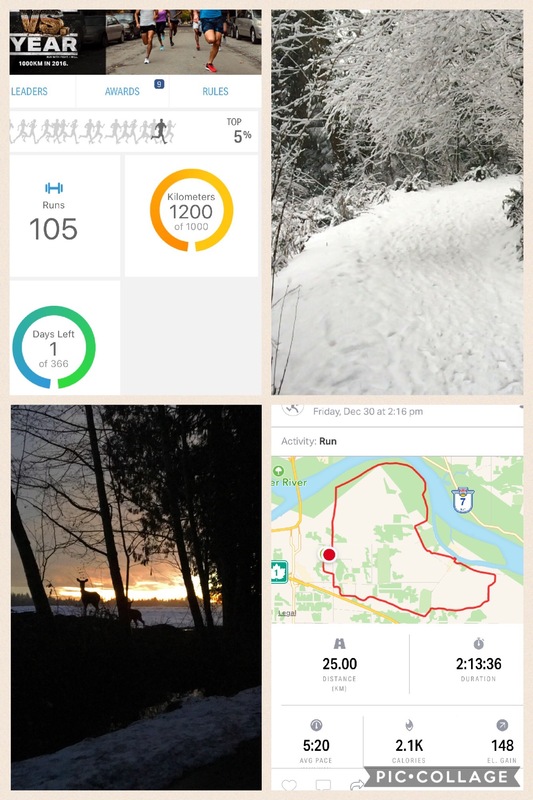 I had to get the 25 kilometres in on December 30 because heavy snow would make it impossible to run on December 31. I had NEVER run that far before, but I did it. On the way, as if to be rewarded by nature, I saw the most beautiful sight – two curious deer on the side of the road watching me – encouraging me perhaps. It was a magical moment I was able to add to my gallery of images on Instagram, continuing to capture the beauty I see around me. I am proud that I set and accomplished my running goal for 2016. Now, I want to go further so I have set a new goal of 1300 total kilometres for 2017. So far, so good. As of this writing on March 6, I have run 232 kilometres and I am on track, with ongoing encouragement from my iPhone app and a little inner determination. Choose to challenge yourself with difficult things. It is only by doing this that your reveal your inner strength to yourself! 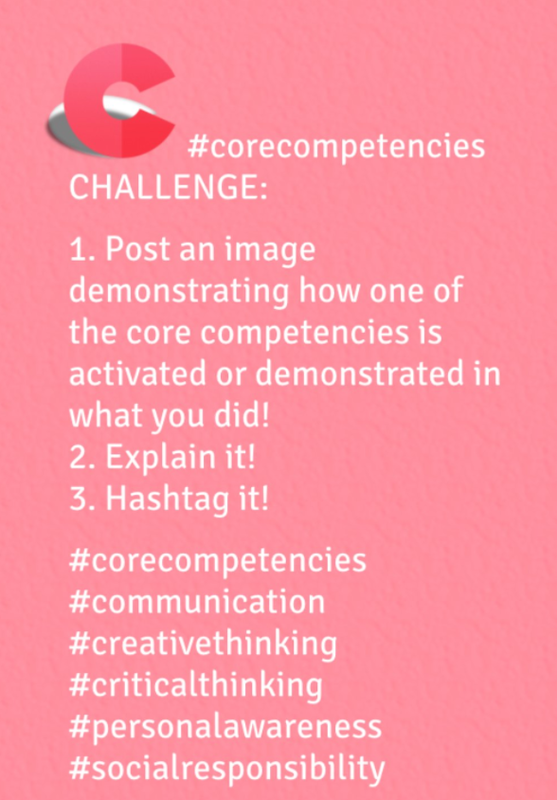 Some time back, I invited anyone on Twitter to take the #corecompetencies challenge. It was simple: find a picture on your camera roll, describe how it demonstrates the activation of one or more of the core competencies, then hashtag it and tweet it. The best way I can describe the uptake would be “slow”. That’s not to say some didn’t take the challenge, but evidently doing what we expect students to do is actually quite challenging. If our aim is to “notice, name, and nurture” then surely there must be a shift in how we view the learning taking place in our schools. This shift will not only provide a new lens through which we can understand what we see in others, but also a new lens through which we can understand ourselves as learners. So … I challenge you to allow yourself to not only be vulnerable in reflecting on your own journey as a learner through the lens of the core competencies, but to also make that learning visible to others. Love this! I think you’re right about taking the risk ourselves and I will now try to document this. It’s difficult to bring out in our students what we haven’t experienced and articulated in our own way. Thanks for sharing! Knowing you, you likely demonstrate and model this all the time. What a powerful experience when our students see the adults around them doing what they expect others to do. Thanks for taking the time to read this! 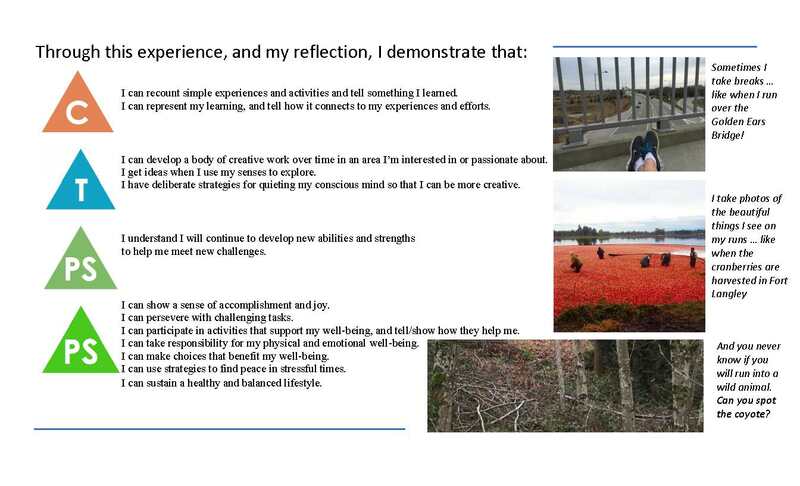 I LOVED this entry Mr V.
May I be so vulnerable as to ask you WHAT the core competencies are? Hi Reagan. I miss you and the kids!!! The core competencies are the valuable skills we know students will need to possess as they grow as learners. Skills like effective communication, critical and creative thinking, social responsibility, and personal and cultural awareness. These are the enduring qualities kids leave school with so they can adapt to and thrive in the outside world. Thanks for reading this and for asking such a good question. Take care! It seems like much metacognition is also used in reflection about core competencies! Through your persistent focus on the competencies, it has helped me also to focus on them with my students and even myself. I think very often what we ask our students to IS darn hard. But, as Terry Small said, “Don’t worry that your students never listen to you. Worry that they are always watching you.” (HEH HEH)! I really think that we should try out what we are asking them to do. It can only help us teach it better, and really, they are learning very much from what we DO…Thanks for these original thoughts. That’s a great point Jane…”Worry that they are always watching you.” What a great opportunity, right? We have this group of kids, that if a strong relationship is fostered, will follow where we want to take them. We are powerful models for them, so when we are reflective, have a growth mindset, show vulnerabilities, it only stands to follow that we will develop these competencies in our students. Once we look through the lens of the core competencies (which great teachers have been doing all along…we just use different language now) we can’t help but continuously think about how we will design learning opportunities that will draw these out of students. I am taking time today to read for myself and pulled your post up. It resonated with me and an experience I recently had. Over the past month I have been attempting a new skill in my pilates class. I had shared my struggle with my class when I started practising. I shared with them the need to add ‘yet’ to my “I can’t do this”. I shared with them the ways that my instructor helped to break down the skill in small steps to build confidence and strength. I also shared the ways she supported me when I had a hurdle to get over but couldn’t do it on my own. Finally, last week I was able to do the skill – not beautifully but I did it. I shared this with my students and they asked if I could show them the maneuver. They sat in silent anticipation as I did a pilates headstand for them. They cheered and celebrated with me once my feet were back on the ground. From my first share out to the actual demonstration this past week I was able to model a few of the core competencies: celebrating a success, persevering through challenging tasks, setting goals, and the list goes on. We must make our own learning visible and to share with our students as they love to hear that we are human and many become inspired by our journey. I love this modelling and only wish I could have been in the room when this happened. What a strong message when teachers present themselves as learners alongside their students. Thank you Anne-Marie!